A very slow news day in the world of Apple, but we brought it to you anyway! Fantastical 2 for iPhone gets an update today! Running the public beta of OS X El Capitan? The third public beta is available. Woo-hoo! A short text version of this podcast is available after the inline player and subscribe button. Hi, I’m Steve Sande from Apple World Today, and this is the AWT News Update for July 29, 2015. Yes, I actually made it here today, although my availability is in doubt tomorrow and Friday. There’s not a lot of news today, so this will be a quick podcast. If you have a MacBook, MacBook Pro, or MacBook Air that was made in 2015 and you use Boot Camp to run Windows on that Mac, you should install a new FaceTime Camera Driver Update that has become available. The Driver Update is available from the Apple Support website and can be downloaded from this link. 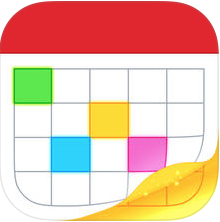 The popular calendar app Fantastical 2 for iPhone was updated today to version 2.4 after a short delay brought on by iTunes Connect being down for the developers. The new version has a great new feature that lets users create event drafts, so you can start creating an event or reminder, swipe down to save it as a draft, and then come back to the draft later. In addition, the iPad and iPhone versions of Fantastical 2 are also getting Japanese localization today. If you don’t already own Fantastical 2, it’s available from the App Store for just $4.99. The third public beta version of OS X El Capitan has just become available if you’re part of Apple’s Beta Software Program. The new beta release will be in the Mac App Store as usual. Please note that the AWT News Update may or may not be available every day this week due to some personal things that are going on. I’ll attempt to get you the news, but be forewarned that I may miss a couple of days. We’ll get back to a regular schedule next week.